Commonwealth Worldwide works closely with today's busiest entertainment producers and tour managers to oversee and execute their ground transportation. Starting with pre-production, throughout the duration of the project, and ending with the final settlement, we provide a flawless production and entertainment travel experience. Whether it's 100 cars in 8 hours or 60 cities in 3 months, we are in the business of anticipating and meeting your entertainment travel needs. From management and logistics to chauffeurs and private jets, Commonwealth Worldwide can do it all. Call or contact us to learn more about our entertainment travel services. Personalized attention and our fierce commitment to protecting your need for discretion and privacy. Exclusive access to our Special Events Desk - a team of specially trained agents versed in the time-constrained and detailed nature of Entertainment travel. Clear communication regarding meet-points/drop-points, and senior-level drivers who are familiar with the service/secondary entrances to all major venues. Your chauffeur's name and cell phone number sent to you prior to every trip. Accelerated reservation and billing turnaround to ensure you meet your settlement deadlines. 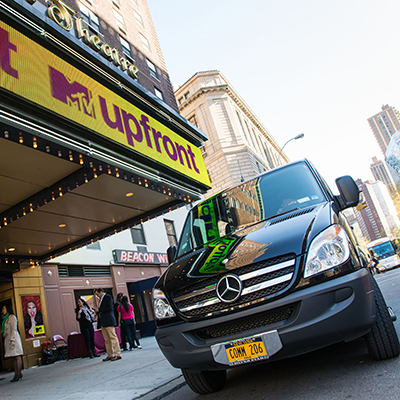 Those of us at One Foot Productions are very happy to have Commonwealth Worldwide take care of all of our ground transportation needs, especially for demanding shows like the MTV Video Music Awards. Without a doubt, Commonwealth Worldwide’s service is far superior to anyone else. We depend on Commonwealth to be an extension of our business in the field and they consistently exceed our standards.